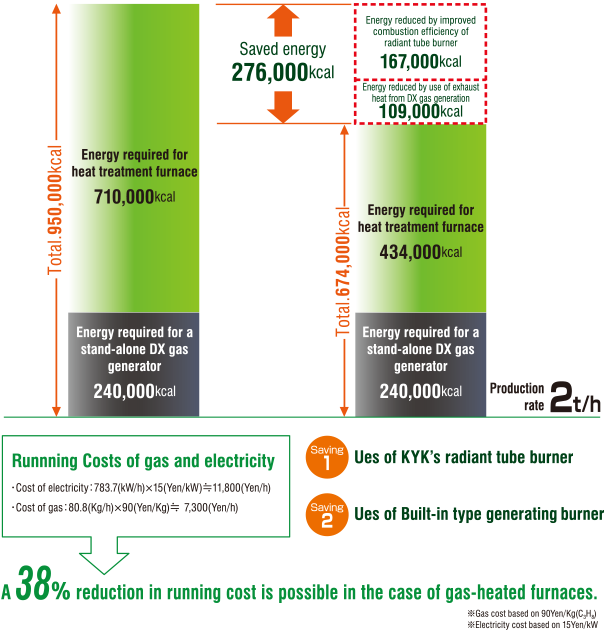 Energy-saving burner｜KYK - KANTO YAKIN KOGYO CO.,LTD. 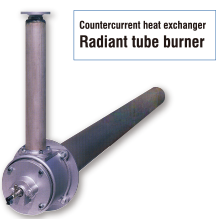 The burner main body contains a built-in heat exchanger. 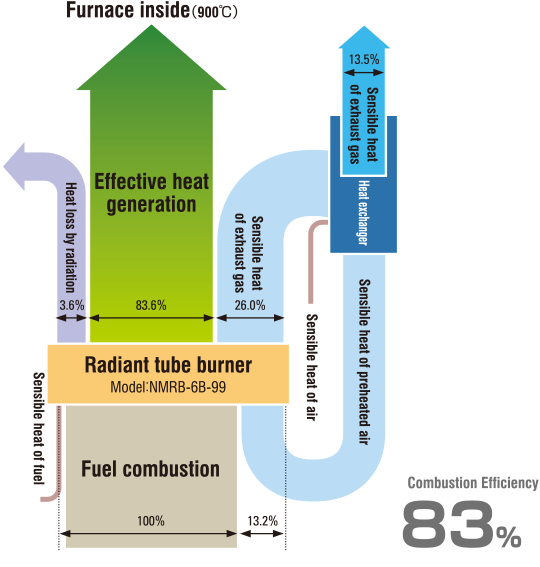 efficiency of this innovative burner reaches a maximum of 83%. low-carbon society, KYK aims to create a new field in the world of industrial furnace. KYK will continue its efforts to create new products based on a lot of experiences and untiring technical development. ●Outline drawing of KYK's radiant tube burner. 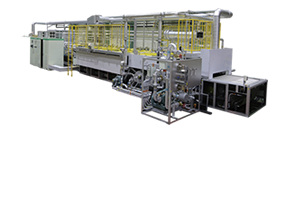 furnace and electrically heated furnace.